In an attempt to stave off drug use at a young age, the DEA will begin offering a special prize to the Boy and Girl Scouts of America. In an attempt to stave off drug use at a young age, the Drug Enforcement Agency (DEA) will begin offering a special prize to the Boy and Girl Scouts of America. Those scouts who successfully complete a well-known anti-drug campaign will be awarded a limited edition badge, sure to remind them for years to come of the dangers associated with drug use. While the campaign might not be targeting cannabis specifically, it’s interesting to know this isn’t the first overlap the cannabis community has faced with the scouts. If you attended a public school anywhere in America, chances are you’ve participated in the Red Ribbon Week campaign at one time or another. The popular week-long program takes place at the end of October and aims to educate the youth about the dangers of drugs, but in a fun way. Each day of the week is accompanied by a theme, like “Scare Drugs Away,” when each child dresses in a costume, or “We’re Too Bright For Drugs,” with children dawning sunglasses for the day. 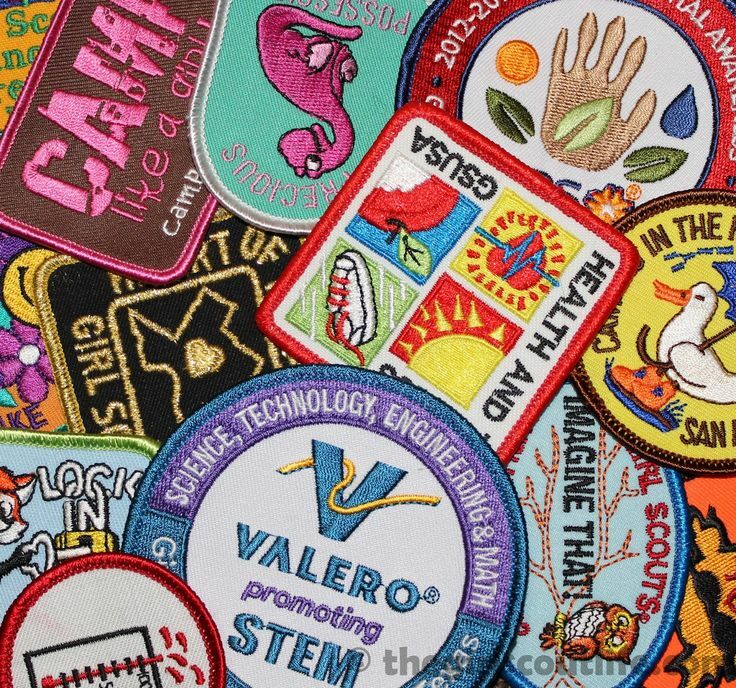 In an attempt to expand the reach of Red Ribbon Week, this year the DEA will be offering special merit badges to those Girl and Boy Scouts who successfully participate in the campaign, which culminates with the signing of their famous Drug-Free Pledge. However, if you’re hoping to have your troop participate in the Red Ribbon Week Patch Program, be prepared to do some legwork. Scout leaders are responsible for preparing a special Red Ribbon Week event, collecting the Drug-Free Pledge signatures of every member of the troop and alerting the DEA in time to have their badges sent out. The badges and certificates of completion will only be supplied to the first 15,000 qualifying scouts. While it might be a great way for a scout to earn an extra badge for their sash, it sounds like a lot of unnecessary planning and plotting. The official DEA website for the event explains the reasoning behind the program. The purpose of the Patch Program is to empower young people to engage in a drug-free activity and strengthen their anti-drug beliefs. The cannabis community and the Girl Scouts of America have crossed paths before. When the strain Girl Scout Cookies hit dispensary shelves, made famous by rapper Berner, the actual Girl Scouts were more than upset. Not only did they demand the name be changed, so as to not soil their well-publicized anti-drug stance, they took many California dispensaries to court, ensuring the name would be wiped from any cannabis products. Now, dispensaries simply label the strain as, “Cookies” or “GSC.” Unfortunately for the scouts, the cannabis community still knows the strain as Girl Scout Cookies. While they might proclaim an anti-cannabis stance, that doesn’t stop Girl Scouts from poaching dispensaries to sell their cookies. As legalization continues to expand, more and more stories are reported each year of Girl Scouts setting up shop directly next to or in front of dispensary locations, hoping to hawk their cookies off to munchy-ridden cannabis consumers. For an organization that makes a habit of denouncing drugs and participating in DEA anti-drug campaigns, they definitely don’t mind the financial benefits they receive from these strategically placed cookie pushers.